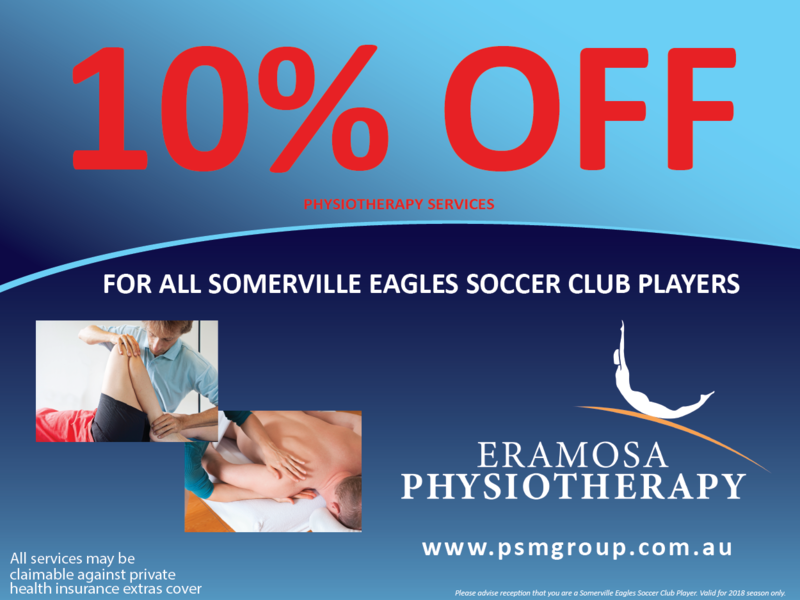 Eramosa Physiotherapy (part of Peninsula Sports Medicine Group) is pleased to announce its new partnership with Somerville Eagles Soccer Club. Peninsula Sports Medicine Group has been involved in community sport for over 28 years with many of its physiotherapists having previously been part of elite clubs like St Kilda FC. Eramosa Physiotherapy brings a high level of expertise to the table. 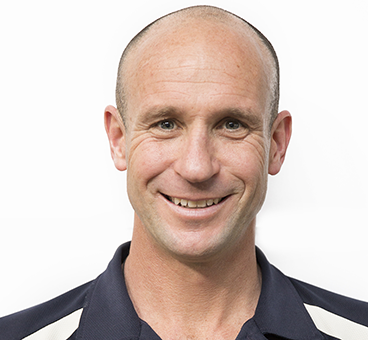 The Eagles teams will be looked after by Physiotherapist and Director, Clinton Watson. Clinton is a passionate and experienced physiotherapist who draws his greatest joy from communicating and helping those from all walks of life. He is a keen triathlete and an accredited triathlon coach who has a special interest in biomechanics especially of cycling and running. Clinton’s approach to injury management is holistic and functional, based upon improving the efficiency of the body whilst encouraging general health and well being. Clinton said the partnership reflects the strong commitment to community sport within the local area. “We are absolutely passionate about being ingrained in our local community. Being injured is a frustrating time for any player. Actually talking to players about how injuries occur, the causes, how injuries can be prevented and what they should do to ensure an optimal recovery is a really important part of what we deliver”. To make an appointment contact Eramosa Physiotherapy on 5977 6590.